McConnell School of Dance is one of the oldest Irish dance groups in North America. Originally founded in Ireland over 80 years ago, the school was established in Winnipeg, Canada in 1947 by the late Sam & Sarah McConnell. McConnell Dancers are recognized for their unique, high calibre, performance-style dancing which encompasses both traditional and contemporary forms of Irish Dance. McConnell School of Dance offers classes for Recreational, Competitive, and Performance Irish Dance and the dancers perform over 60 shows each year all across Canada and the United States. 3 Generations of Irish Dance Tradition. The McConnell family founded the first Irish dance school in Ballymena, Northern Ireland over 100 years ago. Agnes McConnell began teaching Irish dance to the local millworker's children and was one of a rare few who initiated the re-introduction of the Irish Dance tradition in the North. Agnes's younger brother Samuel followed in his sister's footsteps and also branched out to other styles of dance, such as Ballroom, Tap and Folk. In the tradition of the ancient Irish dance masters, Sam McConnell travelled the countryside to neighbouring villages in order to accommodate the growing resurgence of the art- form in County Antrim. Sam was first introduced to his wife Sarah McConnell (nee McNally) at a Ballroom dance competition, and together the two competed at events across the country. In 1947, shortly after the end of World War II, Sam and Sarah moved their family and three children to Winnipeg, Canada. Sam and Sarah McConnell established the "McConnell School of Dance" in Winnipeg in the fall of 1947. The Irish community in Winnipeg was quite small at that time and their first season had little more than a dozen pupils. Both Sam and Sarah found work at "Eaton's" department store, as many Irish immigrants did in those days. "McConnell School of Dance" rapidly grew in size and it wasn't long before the year-end recital was a two night, sold out performance at "Pantages Playhouse Theatre." In 1950 Sam studied in Chicago where he received certification in Tap Dance from Gladys Height ( Fred Astaire's teacher).Sam McConnell choreographed numerous CBC television shows, local productions and "Rainbow Stage" musicals. Many of the performers were McConnell Dancers who went on to have successful careers in television, theatre and dance. Sam McConnell was one of the founding members of the "Folk Arts Council of Winnipeg" and both Sam and Sarah received citizenship awards from the City of Winnipeg for their community service work. The McConnell's were lifetime honorary members of the "Winnipeg Irish Association" and "Irish Association of Manitoba". On the school's 25th Anniversary, they were recognized by her Royal Highness, Queen Elizabeth. Pearl McConnell began dancing at age four in Ireland. She studied Irish, Tap and Ballet and would often accompany her father to lessons in neighbouring towns, perched on the handle bars of his bicycle. At a young age Pearl had the honour of performing an Irish Jig with Glenn Miller and his orchestra in Belfast, shortly before his untimely death. Pearl performed and choreographed over 300 CBC television shows including "Red River Jamboree" and "Pick the Stars" in Toronto. She was a regular dancer in Rainbow Stage productions and a choreographer for the "Hollow Mug" musicals for ten years running. Pearl established the "Norberry Dancers" when she was only 16 years of age and continued to perform and teach with her father at "McConnell School of Dance." In keeping with the tradition of the Irish dance masters, she travelled to many rural areas to teach, including St. Norbert, St. Pierre, St Adolphe and Carman. Pearl established the "Shannon Irish Dancers" at the "Manitoba Irish Association." In 1982, after the passing of Sam and the retirement of Sarah, Pearl took over the running of "McConnell School of Dance." Pearl's background in musicals and exposure to varying styles of dance provided her with the ability to branch out with innovative choreography. She combined exciting choreography with traditional steps, captivating North American audiences with it's lightning fast pace. Whilst still preserving the traditions of Irish Dance passed down the family line, Pearl added unique elements to create a style that had never been seen before. She is the only choreographer to incorporate the Bodhrán (ancient Irish Drum) and spoons into her productions and the "McConnell Dancers" remain the only Irish Dancers who have the unique ability to drum and dance at the same time. Pearl was also the first to interweave traditional solo dances in full non-stop productions with military-precise choreography. Shayleen McConnell Finucan - T.M.C.R.N. McConnell Irish Dancers have produced three full length productions with live music from the Barefoot Ceili Band, narration, and video production. McConnell Irish Dancers have travelled the world to represent Canada and Ireland in CIOFF International Festivals, Peru (2007), Costa Rica (2009), Bulgaria (2011)), North Carolina (2017). 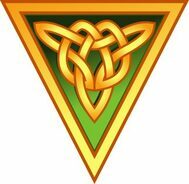 In 2012, McConnell Irish Dancers performed at Walt Disney World, Florida at the American Celtic Irish Dance Festival and in 2013 they were honored to be the only Canadian Irish dance troupe to be invite to perform in Ireland as part of the Gathering 2013. McConnell Dancers are a member of C.I.O.F.F International and have performed all over the world, promoting Celtic Culture. The McConnell Irish Dancers have performed with the Winnipeg Symphony Orchestra in 1998, 2009, and 2016. The dancers perform with the very talented Traditional Irish musicians from the Barefoot Ceili Band and Enaid.